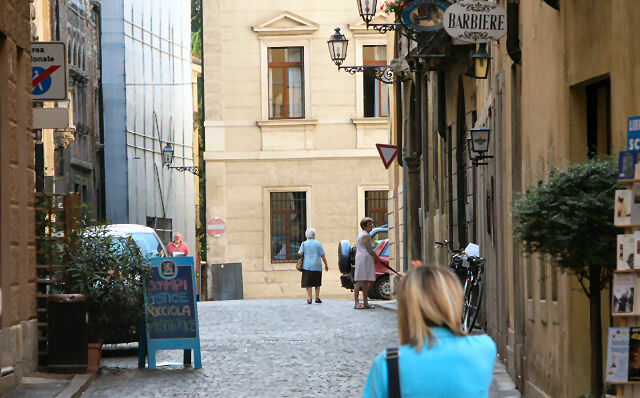 Another of the many charms of Italian lifestyle are the simple cobblestone streets in Italy. Downtown Vicenza has many cobblestone streets and alleys which are mostly pedestrian only. This is one of the older parts of town, just around the corner from where Bob plays the piano.